Dentures restore your smile and facial features when you have lost several teeth or your entire lower or upper arch. At Thurloe Street Dental and Implant Centre, we take extra care to ensure that your denture appliance fits, feels and looks as natural as possible. We pride ourselves in working closely with our patients who require dentures so that they never have to worry about an appliance that is uncomfortable or rubs against the gums. We also offer implant retained dentures for a firmer, more stable appliance. Our dental team understand the importance of replacing missing teeth for many reasons; to improve eating and chewing, to restore facial shape, to rebuild your confidence, avoid changes developing in your bite, preventing the movement of other teeth and to avoid deterioration of the jaw bone. Your appliance is individual to you and we will take the time to ensure we have built a denture that meets your specific requirements. We will take impressions of your teeth so that our laboratory can build your appliance. Once this has been manufactured, we will invite you to the practice so that we can fit and adjust it as needed. When you are happy and confident in the fitting we will have the final appliance manufactured. 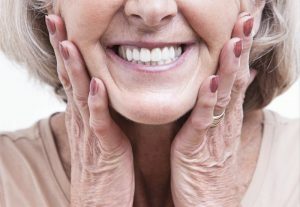 It is our goal to ensure you feel comfortable and confident when wearing your denture. Please click here or call 020 7584 5551 to book your appointment.